Global transportation has escalated the cost of the country. Describe the advantages and disadvantages. Global transportation costs have led to several changes in the economy rapidly. It has created some major advantages and disadvantages for the country. The main reason for the rising cost is the rise in oil prices. The United States Energy Information Administration says that the prominent factor is because of crude oil price hike. It rose significantly since the year 2000. It changed the diesel price simultaneously. The other factor was the imbalance in demand and supply of freight transport service. One of the major changes due to a hike in global transportation cost is the shift in the supply chain. • Cost cutting: Offshoring to near-shoring sourcing strategy is the way adapted. The companies are choosing to cut the number of miles. The distance driven cost are cut and the supply chain is shortened. This helps in cost-cutting immensely. This is positively helping revenues, freight costs, etc. The freight costs are low because more inland transportation means lesser miles. This leads to lesser burning of fossil fuel. • The cost of product design and packaging is cut as well. The focus shifted to shipping only. This means that more space is made for goods to be shipped in one go. Thus revenue will increase. • Higher costs have led to a better economy. People are largely dependent on it and it will only create a boost in the country’s growth. Regardless of climatic conditions, or speed delivery, the transportation sector is rarely at risk. This creates no effect on transportation demand. 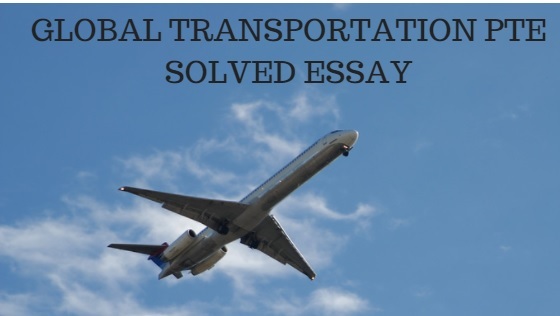 Finding the alternative- To cope with the transportation cost, some have to look for other ways. Using other modes of transport services as an alternative to truck amenities for haul freights can be applicable.